Everyday the sun rises and the sun sets…you wait, you wonder, and you hope for a better tomorrow, but nothing is ever promised. A powerful poem is written and later this poem becomes a beautiful song, "Take Notice and Make Known". Have you ever watched a news story about abuse, injustice, bullying, or crime and at the end of the story you got the feeling that nothing was fixed, solved, or prevented? Yes? Well...an artist, Kevin Douglas Wright, noticed the same thing many, many, many times. One night...after watching another heart-breaking story on the evening news, Kevin Douglas decided to try and help...he thought to himself that...maybe something could possibly be changed...slowly. Later that night...Kevin Douglas wrote a poem called, “Take Notice and Make Known”. The next day he published the poem on the Internet. And so, the long journey began...Kevin Douglas had to find a way to transform a thoughtful poem into a beautiful song. 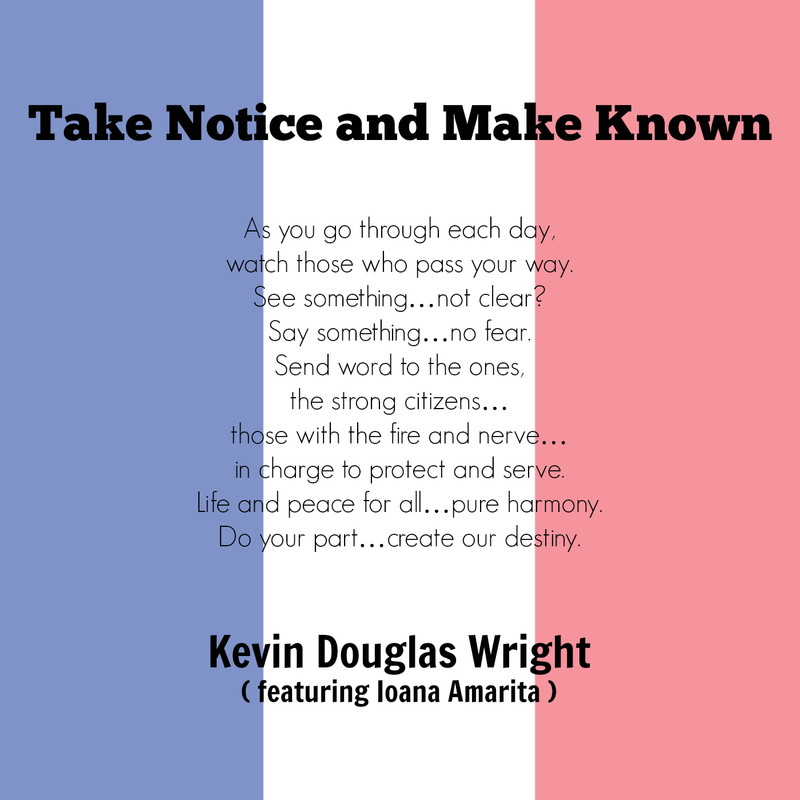 After a long struggle, Kevin Douglas’ original poem became the song, “Take Notice and Make Known featuring Ioana Amarita”. Discover this heart-felt song for yourself and experience so many different emotions that just may help change things a little bit in the future. 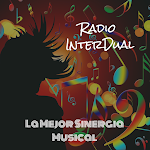 Your listeners would truly love to discover this song on your station first and experience it over and over and over again...everyday. Thank you very much for your time and consideration. Both are greatly appreciated! On Saturday, January 30th, 2016, radio station 101.5 UMFM in Winnipeg, Manitoba was the first station to play the song (Take Notice and Make Known featuring Ioana Amarita) and interview the artist Kevin Douglas Wright. Kevin Douglas Wright was interviewed by show host, Broose Tulloch, on the well-known weekend show called, Beer For Breakfast.